These Kickin’ Appetizer Meatballs have vim and vigor. They get up and go. They zing. They zip. They are a mouth party. 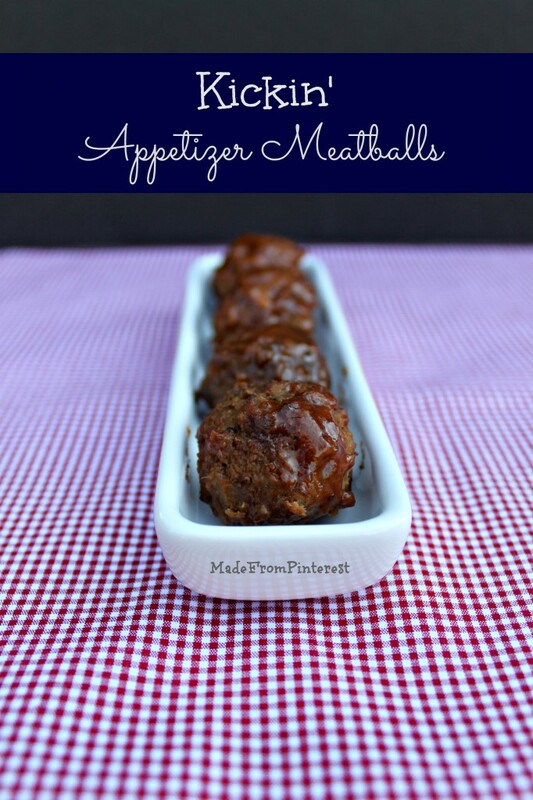 I liked this recipe because it was a different twist on the classic grape jelly, chili sauce meatballs. These would be great for winter holidays, because instead of grape jelly, this recipe uses cranberry jelly. Now, don’t be worried about using this recipe in warmer weather. It will not heat up your kitchen because it is cooked in the crockpot. Plus the BBQ sauce makes it a sure summer winner. It’s a year round recipe folks. I served these recently at my son’s high school graduation party. You’ve seen his chin in my recent post about bow ties. In this family, we love to tease each other. My son was bragging to his Aunt Debbie (the oldest) about how stellar that bow tie picture was because of him. 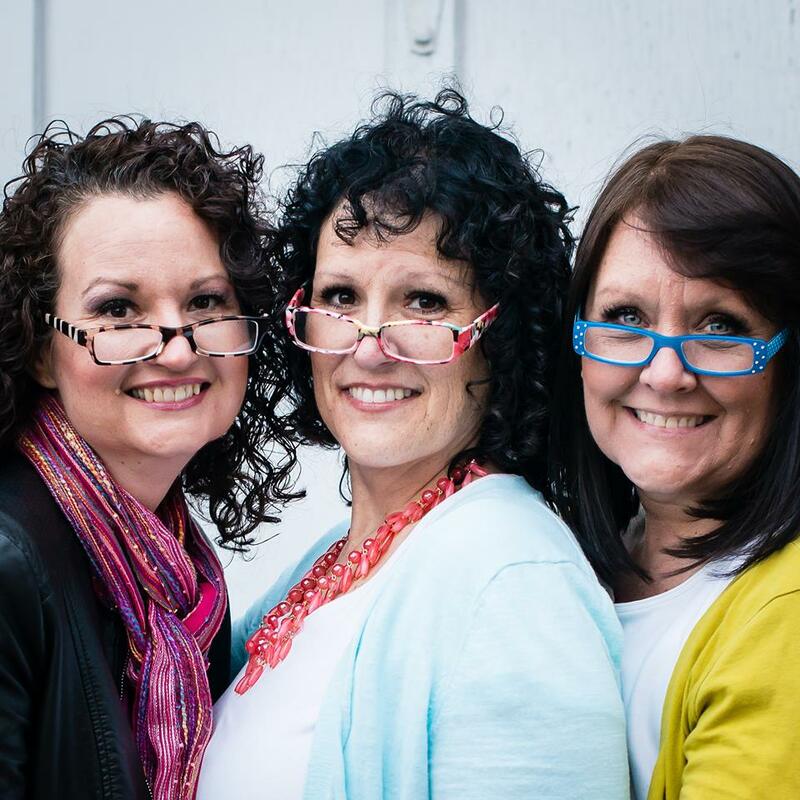 Debbie replied, “Yeah, ’cause your face wasn’t in it!” We had her on speaker phone while we were driving and I had to pull over we were all three laughing so hard. The truth is, he is a good looking kid. I am going to miss him like crazy now that he is taking off out into the world. We have the kind of relationship every mother hopes for. He is respectful, kind,thoughtful and I love spending time with him. I look forward to seeing how his future unfolds. 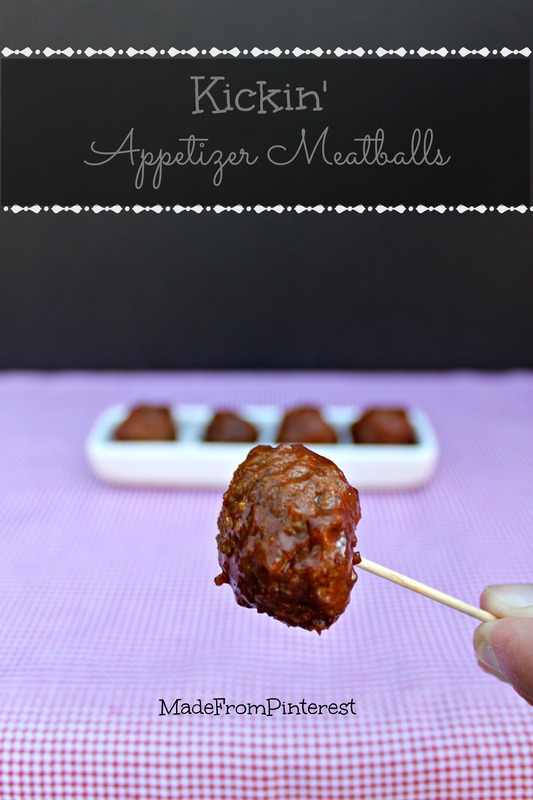 If your are looking for a recipe with a little heat, that won’t heat up the kitchen, these Kickin’ Appetizer Meatballs are sure to get some attention. I found this recipe from Dapple Designs on Pinterest of course! I love my crockpot and this is the one that I love! Stir the BBQ sauce, soy sauce, cranberry sauce and mustard together. Put the meatballs in the crockpot and pour the mixture over the meatballs. Cook on low 4-6 hours watching so it the sauce doesn't burn. Going to a outdoor party? Try this Strawberry Mango Salsa.